When will be Funky Phantom next episode air date? Is Funky Phantom renewed or cancelled? Where to countdown Funky Phantom air dates? Is Funky Phantom worth watching? 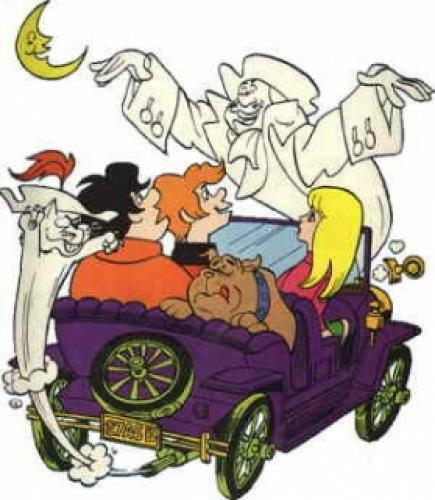 Funky Phantom was a Hanna-Barbera produced saturday morning cartoon featuring three teenage kids, Skip, Augie and April along with their dog Auggie. The gang solves mysteries along with the help from a Revolutionary War ghost named Jonathan Wellington "Mudsy" Muddlemore and his cat, Boo all whom allegedly died while hiding out from the British soldiers. EpisoDate.com is your TV show guide to Countdown Funky Phantom Episode Air Dates and to stay in touch with Funky Phantom next episode Air Date and your others favorite TV Shows. Add the shows you like to a "Watchlist" and let the site take it from there.